The Trang web cá cược trực tuyến www.themiracleofkangaroomothercare.com blog on tourism, disability, and Universal Design began on January 1, 2004. Over the past 10 years posts on the "how and where" of travel appear alongside those on the "why" of travel. Not a typical travelogue or destination review site, this blog attempts to mix travel information of interest to people with disabilities and information on travelers with disabilities that is of interest to the travel industry. One of the privileges of having a longterm relationship with both the demand and supply sides of the Inclusive Tourism market around the world is the chance to visit or host trendsetters. 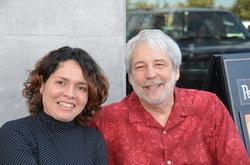 This past week I hosted Brazilian mixed-ability dance pioneer Carolina Teixeira. Together we explored the dance and performance art culture of the San Francisco By Area for Carolina's doctoral work on dance and disability. One of the first things I learned by looking at the San Francisco Bay Area's dance scene is how easy it is to take for granted how the depth of commitment to full inclusion here has created something unique with impact that radiates around the world. In Berkeley the birthplace of so many civil rights initiatives, the Ed Roberts Campus stands as a concrete example of Universal Design housing Disabled People's Organizations (DPO) such as the World Institute on Disability. Just over the Santa Cruz Mountains three different non-profits bring specialized beach accessibility across the US and down to Central America. Tapooz Travel brings travelers to the US from its base in Berkeley. Bay Area Disabled Sailors (BAADS) races in the America's Cup festivities. Meanwhile physically integrated dance pioneers like AXIS Dance Company train grade school, high school, and college students. Carolina and I had the privilege of observing several AXIS classes at Mills College in Oakland. I was reminded of how it was AXIS founding members Judith Smith and Bonnie Lewkowicz who intiated the lawsuit against Hotels.com policy of not guaranteeing that reserved accessible rooms will actually be available when a guest arrives. On this whirlwind exploration of dance and disability we also attended a Dandelion Dance Theater rehearsal and performance featuring a wheelchair dancer from New Zealand (Rodney Bell) and from Puerto Rico (Cristina Carrasquillo). Another thing I was reminded of by traveling with a high-energy performance artist like Carolina Teixeira is that almost any situation can be turned into a performance art piece - and with Carolina's combined sense of curiosity and humor often is. I'm not sure I had ever thought of even half the ways Carolina invented to interact with the painted wheelchair symbol in a disabled parking space where we stopped to do a photo shoot for a piece she is developing. I am certain I have never discussed a TSA pat down in terms of movement and dance before. That is an entertaining way to approach a tedious and invasive task! Sending her back to her temporary home as a Resident Scholar at Oberlin College this morning leaves me realizing that sometimes "travel" can be as simple as unpeeling new layers and perceiving new aspects of what is right in front of you at home. The 2013 UNWTO and WTM Ministers′ Summit at the World Travel Market (WTM) will put a spotlight on the essential connection between air transport and tourism, debating the challenges and opportunities of promoting higher policy coordination between aviation and tourism (London, United Kingdom, 5 November 2013). Tourism Ministers from around the world and private sector representatives will be participating in a discussion around the theme "How to bridge the gap between tourism and aviation policies". Charles Hodson, anchor of CNN International′s flagship business programme, "World Business Today" will moderate the debate. Speakers include the Ministers and Secretaries of State for Tourism of Indonesia, Mexico, Morocco, the Philippines, Portugal, Russia, Spain and South Africa as well as the President and CEO of the World Travel & Tourism Council (WTTC), the Vice President of Government Affairs of Amadeus, the Chairman of the Caribbean Tourism Organization (CTO), the Vice President for Europe of the International Air Transport Association (IATA) and the Director of the Air Transport Bureau of the International Civil Aviation Organization (ICAO). The discussion will be further enriched by the participation of over 40 Ministers registered to attend the event. Now on its seventh year, the UNWTO/WTM Ministers′ Summit is part of the World Travel Market Ministers Programme, bringing together Tourism Ministers and leading tourism experts to debate each year key issues affecting the future of the sector. O envelhecimento da popula? ?o, o aumento dos casos de violência somados aos casos de deficiência congênita, provocaram uma press?o social por adapta? ?es e adequa? ?es tanto arquitet?nicas quanto atitudinais. O debate tornou-se intenso e o envolvimento das próprias pessoas com deficiência tornou-se mais expressivo, exigindo mudan?as rápidas. Assim, discutir e praticar a inclus?o social deixou de ser algo meramente teórico! Setores antes isolados e considerados complementares come?aram a ser estudados para garantir um amplo acesso desse segmento, sendo esse o momento em que o setor da hospitalidade se encontra. Apesar do número de turistas com deficiência n?o ser alto, a frequência vem aumentando, n?o podendo esquecer-se do efeito multiplicador, já que esse público costuma viajar acompanhado. Porém, apesar do potencial, ainda é um setor pouco explorado, existindo uma ampla área de crescimento, mas que exige conhecimento e especializa? ?o dos profissionais e empresas, o que perpassa pelo contato com as pessoas com deficiência e familiares, além da dissemina? ?o de informa? ?es, sendo esse o objetivo principal desse livro. Boa Leitura! A Review of "INCLUSIVE TOURISM: International Perspectives, Accessibility and Inclusion in Brazilian Tourism"
The deadline for submitting entries to the International Design for All Foundation Awards 2014 is 2 January 2014. If your work demonstrates that the implementation of design for all/universal design contributes to improving quality of life for everyone, it deserves international recognition. That's why the Design for All Foundation has introduced a new step this year: From now on the foundation will recognise all the Good Practices which meet the criteria and which can act as an example for others seeking to implement design for all in their own areas of activity. Of the Good Practices selected, an international jury will choose the 5 "Best Practices" to be presented with the International Design for All Foundation Award. These will be the stand-out projects which show the way forward for better practice in design for all/universal design in future. The award ceremony will take place on 12 February 2014 during Urbaccess: the European exhibition of accessibility and universal design, in Paris. 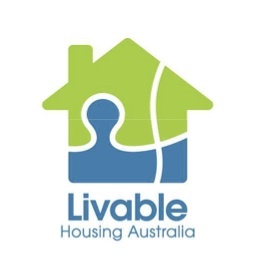 A Platinum rating from Livable Housing Australia (LHA) now provides automatic Green Star points under the Green Building Council of Australia's (GBCA's) rating system. Multi-unit residential projects in which at least 10 per cent of the dwellings meet the Platinum Level of the LHA's Design Guidelines will be automatically deemed compliant with the Green Star Mat-15 'Universal Design' credit. On Sept. 26 the US Access Board issued finalguidelines for outdoor developed areas administered by federal agencies. This release was timed to coincide with the 40th anniversary of the Rehabilitation Act of 1973 which mandated equal access for people with disabilities to federally funded programs and federal employment. It also established the Access Board itself. The new guidelines cover newly constructed or altered camping facilities, picnic facilities, viewing areas, trails and beach access routes. A Webinar on the Final Guidelines for Outdoor Developed Areas is scheduled for Oct. 17 from 2:30-4:00pm (ET). On September 26th the U.S. Access Board issued new accessibility guidelines for outdoor areas developed by the federal government. The guidelines provide detailed specifications for accessible trails, picnic and camping areas, viewing areas, beach access routes and other components of outdoor developed areas when newly built or altered. They also provide exceptions for situations where terrain and other factors make compliance impracticable. "The Board is eager to release these guidelines, which were long in the making, to explain how access to the great outdoors can be achieved," states Access Board Chair Karen L. Braitmayer, FAIA. "The greatest challenge in developing these guidelines was balancing what's needed for accessibility against what's possible in natural environments with limited development." Requirements for trails, outdoor recreation access routes, and beach access routes address surface characteristics, width, and running and cross slopes. Exceptions are included for these and other provisions under certain conditions stipulated in the guidelines. Departures are allowed where compliance is not practicable because of terrain or prevailing construction practices. Exceptions are also recognized where compliance would conflict with mandates such as the Endangered Species Act and other laws or where it would fundamentally alter a site's function or purpose. The guidelines originate from recommendations prepared by an advisory panel chartered by the Board, the Outdoor Developed Areas Regulatory Negotiation Committee. They were made available for public comment twice and finalized according to the feedback received. The rule applies only to national parks and other federal sites, but the Board plans to follow-up with rulemaking to address non-federal sites under the Americans with Disabilities Act (ADA) at a later date. "The Board is moving ahead to issue the guidelines first for federal sites out of expediency," explains Braitmayer. "In developing its guidelines, the Board must assess and aggregate their impacts. The Board was able to complete the necessary assessment on sites in the federal sector, but will require more time to analyze the impacts on the broader range of sites controlled by state and local governments covered by the ADA." The rule applies to federal agencies that develop outdoor areas for recreational purposes, including the National Park Service, the Forest Service, the Fish and Wildlife Service, the Army Corps of Engineers, the Bureau of Land Management, and the Bureau of Reclamation. The new requirements will become mandatory on November 25, 2013 as part of the Architectural Barriers Act Accessibility Standards, which apply to facilities that are built, altered, or leased with federal funds. The Board will conduct a public webinar on the new rule on October 17 from 2:30 to 4:00 (ET). To register for this free webinar, visit www.accessibilityonline.org. For further information on the rule, visit the Board's website or contact Bill Botten at outdoor@access-board.gov, (202) 272-0014 (v), or (202) 272-0073 (TTY).